Air101: KLM's fancy way of checking the size of your cabin bag! KLM's fancy way of checking the size of your cabin bag! From today, KLM, the Royal Dutch Airline has made it even easier for passengers on Messenger to see whether their hand baggage is of the correct size. The airline says the Augmented Reality (AR) on its new app and available in Messenger, that is widely available for iPhone users (6s or above) in KLM's Messenger. 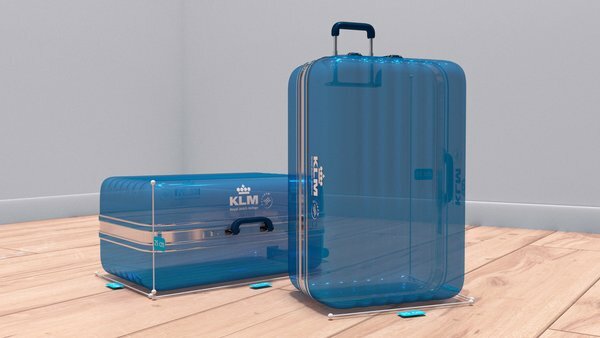 KLM's AR hand baggage check uses a transparent, virtual KLM suitcase that is placed in reality on an actual suitcase to indicate whether the dimensions are appropriate for overhead compartments. This makes it easy for a passenger to check, in the comfort of their home, whether their hand baggage is of the correct size. Earlier this month, the service was launched in the KLM App (iOS). Earlier this year, Messenger announced that it would make AR technology available in closed beta on its platform. KLM is now one of the few companies worldwide to build an experience using AR in Messenger. KLM will continue to develop and improve the service in the future so that it grows in line with the latest AR technology available. "By offering the AR hand baggage check-in Messenger, KLM is again taking a next step in terms of digital service provision. With this service, passengers can see at a glance whether their hand baggage is the correct size. By offering this service in Messenger, it's now available for every KLM passenger at the airport, en route or at home. We also continue to be pioneers of innovation in our passengers' best interests," said Pieter Groeneveld, senior vice president Digital Air France-KLM. "We're thrilled that KLM is one of our beta partners. We built this technology in our platform to allow brands to solve problems for their customers. Checking the dimensions of a suitcase before you even set foot in the airport will create a smoother experience for passengers and we are pleased our technology could contribute to making that happen," commented Stefanos Loukakos, Head of Messenger Business.